Disputes and different points of view are facts of business life. It is not possible to avoid them entirely. The key is knowing how to deal with them successfully and to learn from them. We explore what ‘success’ means with our clients. We then help our clients decide what to invest in a dispute (time as well as money) based on the likely return. These discussions will determine the resolution approach taken in a particular dispute. We use decision trees and modelling to help us try and predict the most probable result. Threats to your business and its future success demand immediate attention. Well considered strategies are required together with effective implementation. This may involve, among other things, informal and formal negotiation, court proceedings, arbitration, mediation or some other form of alternative dispute resolution. Our dispute resolution solicitors in Manchester are experienced negotiators as well as experienced trial litigators. We have been enthusiastic users of mediation for many years and we have won awards for our use of mediation. How Can Our Dispute Resolution Solicitors Help? We adopt a flexible approach: some clients want us to ‘own’ the entire dispute for them while others prefer to call on our advice on an ad hoc basis. We are similarly flexible when it comes to funding a dispute, and we work with clients on a fixed or capped fee basis and on conditional fee arrangements where success determines our return. Our dispute resolution solicitors help our clients to arrange funding for their legal costs from a third party or litigation funders. 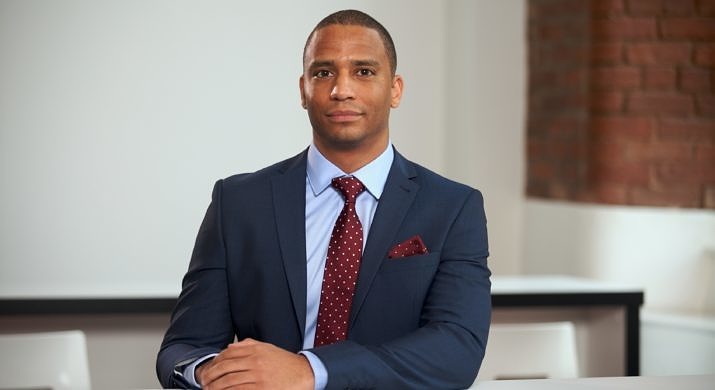 As the courts head in the direction of only awarding a contribution towards the costs of successful litigants, and as we approach a regime of fixed costs in commercial disputes, we work with our clients to ensure the costs incurred are proportionate to the amounts at stake in order to maximise recovery. Detailed costs budgets are an integral part of our project management from the outset. We want our clients to see us as part of their team, trusted to deliver on time and on budget. Our own ethos focuses on our people and their approachability. This is central to our recruitment and progression paths. We want our people to develop long-term relationships with our clients, and we encourage our clients to ‘pick up the phone and talk issues through’ with us. Our clients know they can do this without fear of a bill. We help our clients to protect their interests, pursue their entitlements and enforce their rights, as well as strengthen their strategies for avoiding problems in the future. Two of the partners in the team sit as deputy judges. Other team members are ranked in the leading legal directories as recommended practitioners. We provide a fixed fee systemised process allowing our clients to recover unpaid debts at an agreed fixed cost. Our clients are business occupiers, portfolio owners and property developers. We advise on all aspects of litigation involving property ownership. If you’d like to get in touch with one of our dispute resolution solicitors in Manchester today, please call 0800 131 3355 or use our online contact form to send us an enquiry regarding your case. Our debt recovery team has a long and successful track record of recovering business to business debts. Some of the UK’s largest businesses trust us to recover what they are owed and our clients include Hilti ( UK), L’Oreal, PRS and DHL ( International). We also act for numerous smaller companies/SMEs and we have represented some of our longstanding clients for over 25 years. Our team has worked together for many years and we work hard to get to know our client’s businesses and how they operate. By investing this time we can add real value to the debt recovery process and provide practical, effective advice as to the most appropriate route for collection. This advice is borne out of decades of experience. We operate our debt recovery service on two alternative bases in terms of fees and costs. The Pannone Corporate estate planning solicitors advise a broad range of high to mid net worth individuals on tax and estate planning. Our clients often include business owners, property developers and entrepreneurs who have sold successful businesses. We have expertise in setting up tax efficient structures to enable the smooth devolution of wealth to the next generation and pre-business sale tax planning to minimise the tax implications of a future business sale. We have extensive experience in the full range of trust and probate issues including both contentious and non-contentious matters. We provide pragmatic and commercial solutions to complex problems and disputes involving wills, trusts & probate. Contact us on 0800 131 3355 to speak to our specialist team who can help ensure that your assets are protected. Alternatively, you can fill in our online enquiry form and we will get back to you at a time that is convenient for you. We know cost effectiveness and transparency as to fees is fundamental. We regard minimising costs as part of our advisory role. We undertake a wide range of work at all financial and complexity levels and are one of the few firms in Manchester with significant experience of high net worth and international / multi jurisdictional matters. We ensure work is completed in a cost effective manner and that fees reflect the type of advice provided. We often work on a fixed fee basis and can provide clear quotes once we have met the client to understand their needs. At Pannone Corporate, our aim is to ensure that your private wealth is protected and is available to be passed on to your chosen beneficiaries tax efficiently by acting as your wealth management solicitor.